Finland’s Mörbid Vomit deliver face ripping, blasphemous death metal! A throw back to the original old school Swedish sound and a must for fans of Grave, Entombed, Bloodbath and Gorefest. 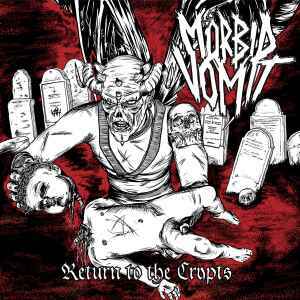 ‘Return to the Crypts’ features 9 tracks compiled from the bands 2012 Demo, ‘I Breathe Hell’ EP + a bonus cover song exclusive to this CD. This is a band on the rise, this is essential! Includes unlimited streaming of Return to the Crypts via the free Bandcamp app, plus high-quality download in MP3, FLAC and more.